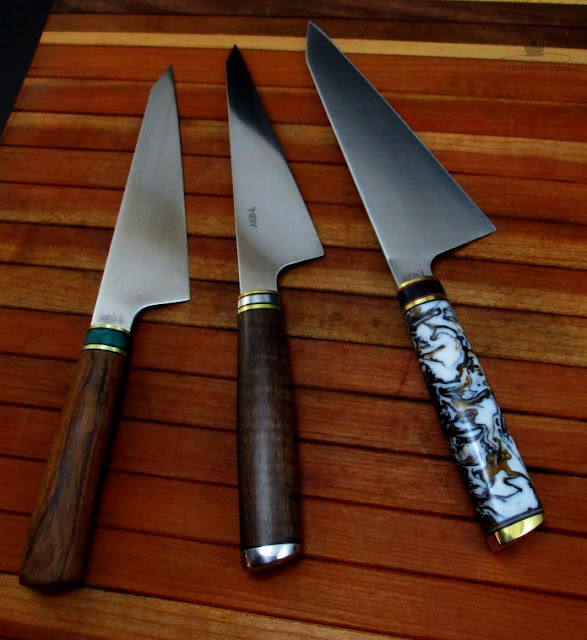 Three honesuki wa made from AEB-L ready for new homes. The left knife is desert ironwood with jade composite spacer. The middle one is stabilised koa with stainless and brass. The right one is rennaisance acrylester with brass and black paper micarta. Lots more to do before Christmas!